Lexus Broadway in Austin presented by Texas Performing Arts proudly announces the hit, NEWSIES. The new American musical, features a Tony® Award-winning score with music by eight-time Academy Award® winner Alan Menken and lyrics by Jack Feldman, a book by four-time Tony® Award winner Harvey Fierstein and is produced by Disney Theatrical Productions, NEWSIES is directed by Tony® nominee Jeff Calhoun and choreographed by Christopher Gattelli, who won a 2012 Tony Award® for his work. NEWSIES was intended for a Broadway run of just 101 performances. The show’s fiercely devoted fans had other ideas, however; they propelled the show to a run of 1005 performances, attendance of more than 1 million and a gross of over $100M. 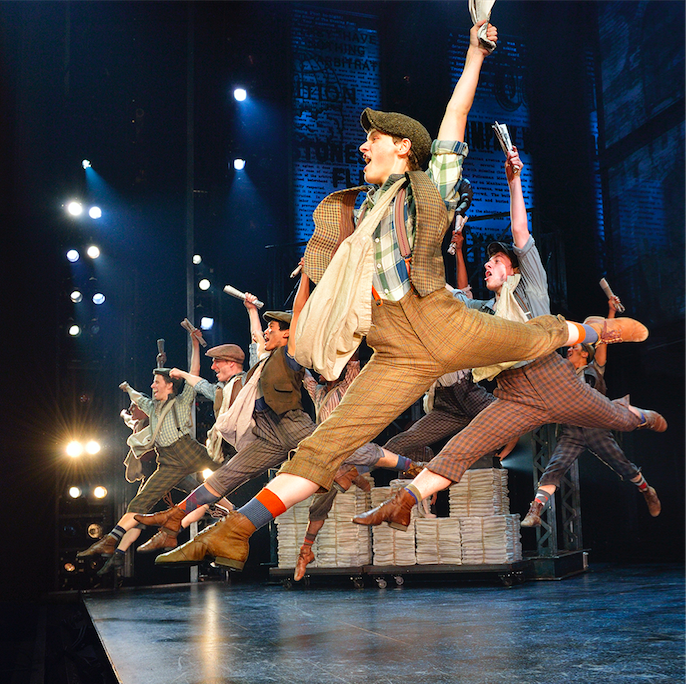 While on Broadway, NEWSIES set and broke seven Nederlander Theatre house records and became the highest-grossing show from the 2011-12 Broadway season. The show received 23 major theatrical nominations – including eight Tony Award® nods – and won Tony®, Drama Desk and Outer Critics Circle Awards for Score and Choreography. How great is that? Set in New York City at the turn of the century, NEWSIES is the rousing tale of Jack Kelly, a charismatic newsboy and leader of a ragged band of teenaged ‘newsies,’ who dreams only of a better life far from the hardship of the streets. But when publishing titans Joseph Pulitzer and William Randolph Hearst raise distribution prices at the newsboys’ expense, Jack finds a cause to fight for and rallies newsies from across the city to strike for what’s right. NEWSIES is inspired by the real-life ‘Newsboy Strike of 1899,’ when newsboy Kid Blink led a band of orphan and runaway newsies on a two-week-long action against Pulitzer, Hearst and other powerful newspaper publishers.